The scenic beauty and temperate climate of Vancouver, British Columbia make it the ideal location for enjoying outdoor attractions, such as Stanley Park or VanDusen Botanical Garden. The city also has an impressive aerial tramway, the Skyride, and stunning places to eat, such as the Cloud 9 Revolving Restaurant. Vancouver is renowned for its lush outdoor spaces and one of the largest is Stanley Park. At nearly 1,000 acres, it has a seawall of 14 miles that affords a motor vehicle-free way to experience the waterfront. Another outdoor gem is the 55-acre VanDusen Botanical Garden at the center of the city. Its most popular feature is the Laburnum Walk, with memorable overhanging yellow blooms that reach their peak in mid-May. For an airborne thrill, travelers can visit North America's largest aerial tramway system, the Skyride. The one-mile long tramway offers breathtaking views of Douglas firs in the summertime and snow-dusted forests in winter as it follows a route up to the peak of Grouse Mountain. Food lovers that want to continue the aerial theme can reserve a table at the Cloud 9 Revolving Restaurant. Situated on the 42nd floor, the entire restaurant revolves through a full 360 degrees, providing a panoramic view of the city and mountains through 20-foot high windows. 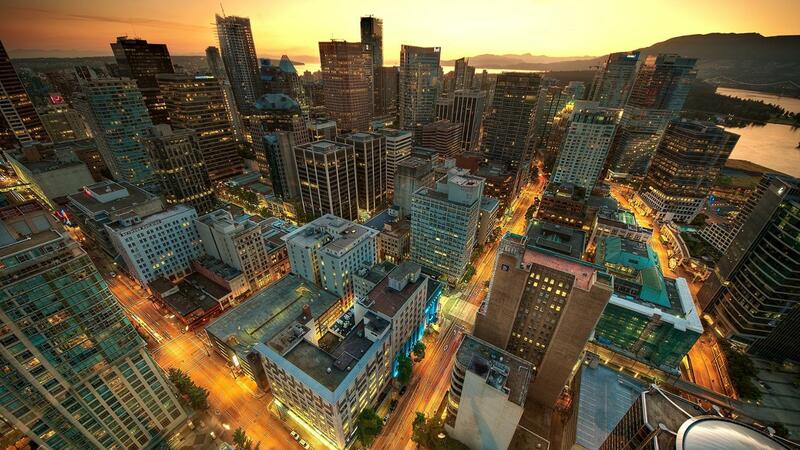 What Are Some Basic Facts About Vancouver, British Columbia?